Editing Done & Dusted (For Now), It’s Beta Time! 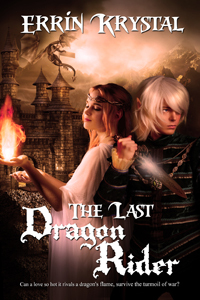 So last week I finished what I think is my last round of edits on ‘The Last Dragon Rider’… For now anyway. As some of you may know, I’ve been working very hard on getting the manuscript up to scratch for re-submission come July. I’ve been hard at it for five months, and fingers crossed all my hard work will pay off. I’ve done everything the Editor has asked for. I’ve fixed all the POV’s, sought out those repetitive sentences, added a glossary for all my elven words and made up a few more. I’ve read it out loud to myself (which was different but a rather effect editing method) and I’ve edited it so much that the words barely hold any meaning anymore. And now? I think it’s ready. Time for beta readers! I’ve been lucky to have made some great writer friends who are helping me out with the beta read. Doesn’t stop me feeling nervous about it though. I was actually really anxious sending out my baby to be critiqued. I have yet to actually have anyone read ‘The Last Dragon Rider’ in it’s entirety, even the Editor has only read the first three chapters. Sure, I’ve had a few friends and family read a page or two, but that is about it. It’s really all very nerve wracking. Will they like my characters? The story? Are there any gaping irreparable plot holes? Is it ready? Should I edit more? The questions I ask myself are endless! All I can do now is sit back with that sick feeling in my gut that comes with knowing someone is reading my story and wait. Fingers crossed, it really is ready and I can send it off to the Editor again soon nice and polished and hopefully near perfect. And maybe get that one step closer to becoming a real author. Liebster Award! Yay For Blogger Friends!